Good morning, early birds. A report on the National Energy Guarantee suggests the scheme could be largely redundant. Plus, a WA prison break has residents locking their doors. It's the news you need to know, with Chris Woods. The Lowy Institute has decided not to name its annual Media Lecture after Mark Colvin after all. Media outlets gonna catch them all. 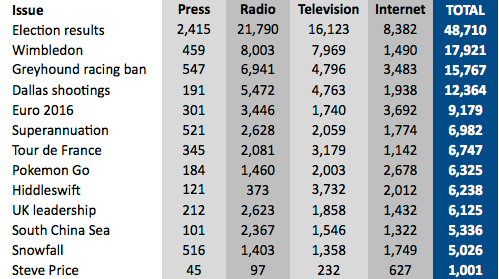 Glenn Dyer’s TV ratings: Poms, Poms everywhere! It's the week for British sport, with Brits excelling at cricket, tennis, rugby and cycling. The thing to watch this weekend will be sport -- we have a shot in the rugby and tennis to beat our former colonial masters. Armstrong, Pharmstrong, Livestrong: is the future strong? Cycling enthusiast Jeremy Dore is troubled by the case of alleged drug cheat Lance Armstrong. It threatens not only the future of the sport, but a very important charity effort. Evans would be the first to suggest that a lot of excess baggage has now been removed from his world. 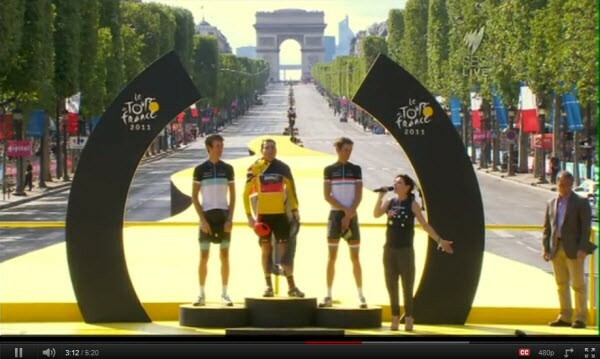 If you didn’t catch it early this morning, watch Cadel Evans as he stands on the top of the winner’s podium for the Tour de France and draps himself in the Australian flag to hear compatriot Tina Arena sing the national anthem.